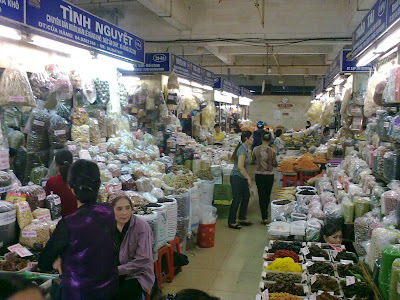 Vietnamese products are not expensive. It is not worthy spending too much time bargaining. On the other hand, paying the full asking price seems to be snobish. The asking price for the coffee filter I bought was VND 20,000. I know the listing price in a supermarket is VND 17,000. So I think 20-30% off the asking price should be fair.